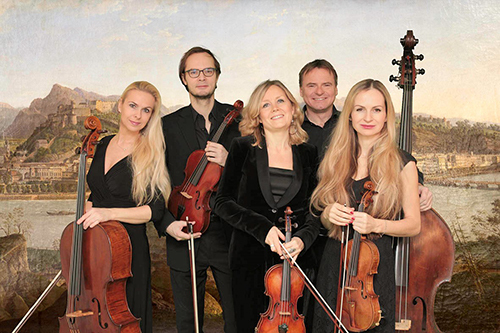 The ENSEMBLE ALTENAU is made up of five experienced chamber musicians from five different European countries. Specializing in music of the 18th and the late 19th century, the accomplished group plays with internationally renowned soloists. Salome Alt (1568-1633) was the partner and lover of Prince Archbishop of Salzburg, Wolf-Dietrich von Raitenau (1559-1617). They had 15 children together and in 1606 he built them Altenau Castle (the title formed from combining the couple’s names) which later changed to Mirabell Castle as we know it now.